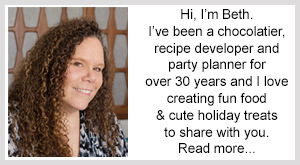 June 15, 2015 By This post may contain affiliate links. 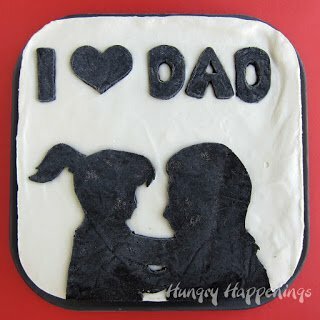 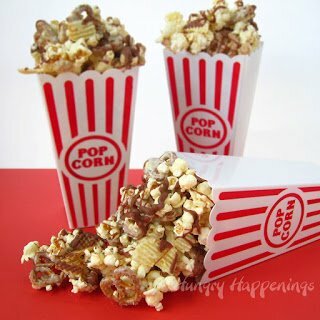 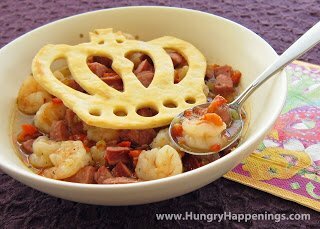 In honor of Dad’s special day, Hungry Happenings has 30 Fun Food Crafts for Father’s Day! 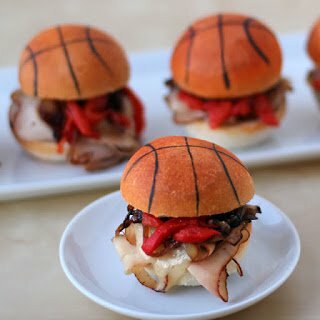 Choose from a gallery of guy-friendly ideas that are a great (and delicious!) 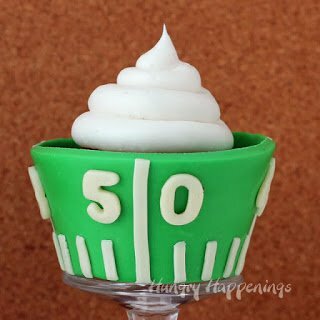 way to say “thanks”. 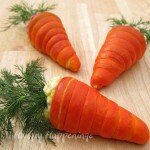 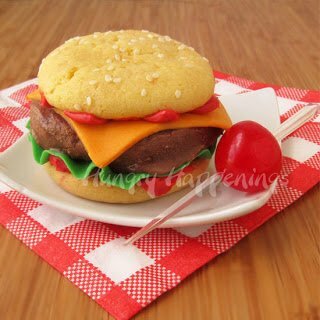 The Hungry Happenings kitchen has a diverse array of food crafts from which to choose something that Dad is sure to love! 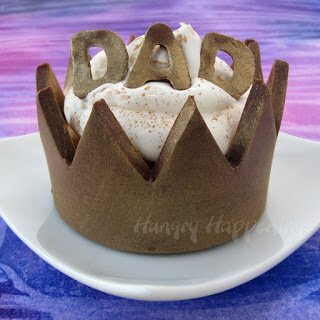 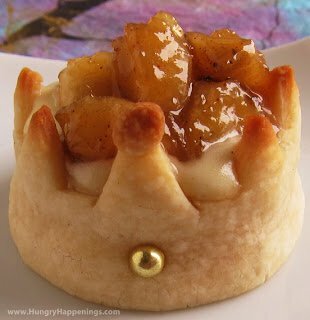 Show Dad that he’s truly the king of the castle with luscious chocolate wrapped cupcakes, gumbo-style crispy crown topped stew, and crown-shaped pastries filled with cheesecake mousse and glazed bananas. 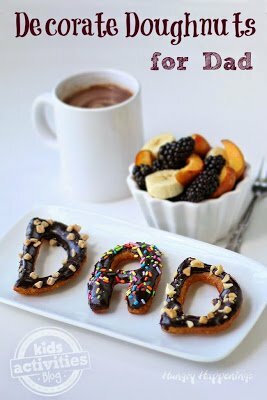 The kids will have a blast making these personalized donuts for Dad from Hungry Happenings for Kids Activities Blog. 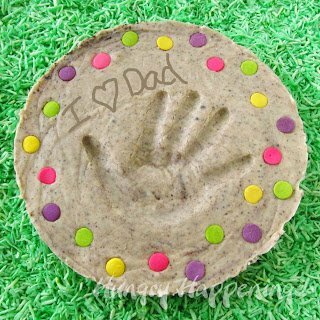 Show Dad your love with this easy to make Oreo and cookies and cream ice cream based dessert. 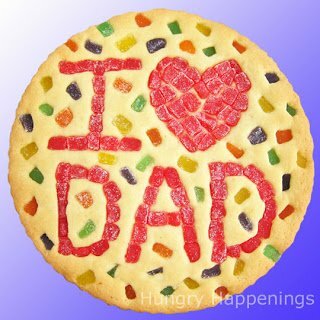 You can personalize this giant cookie and edible garden stone with any message you want to make Dad’s day special. 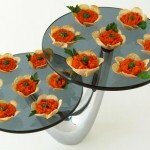 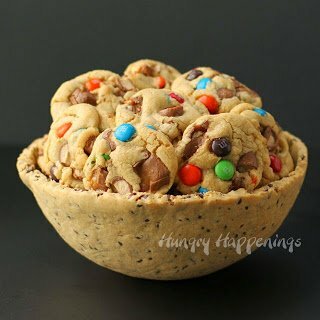 For the chocolate chip cookie loving dad, this edible bowl filled with cookies would be the perfect gift. 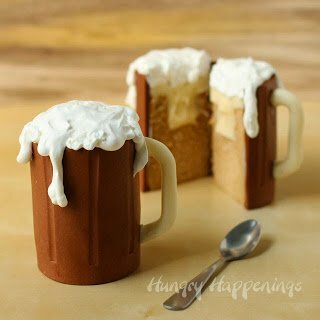 What Dad doesn’t love a tall, frosty glass of root beer? 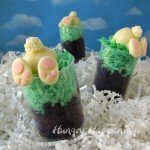 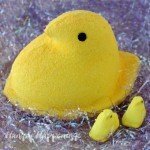 Root beer flavor permeates these fun cakes that are also wrapped in root beer flavored modeling chocolate. 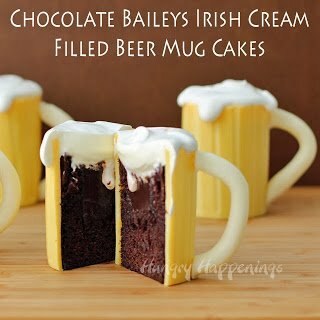 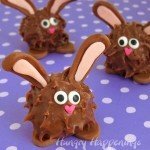 Here’s another version flavored with chocolate and Bailey’s Irish Cream. 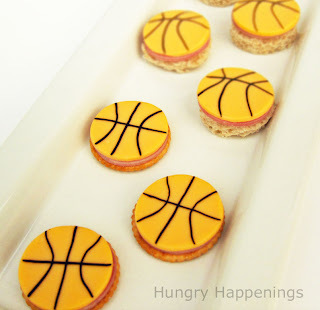 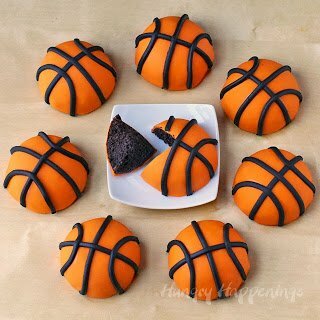 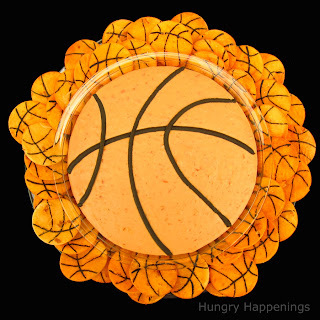 For the sports loving Dad, these delicious basketball-themed cherry coke flavored mini cakes, mini cheeseburgers, sliders, cheese snacks, and a bean dip with tortilla chips will score big! 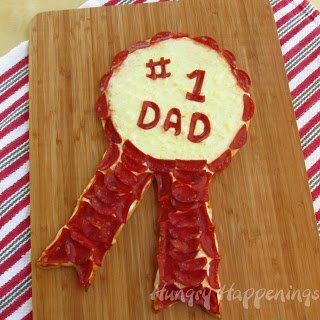 Dad will feel like a winner when he tastes this award ribbon-shaped pizza. 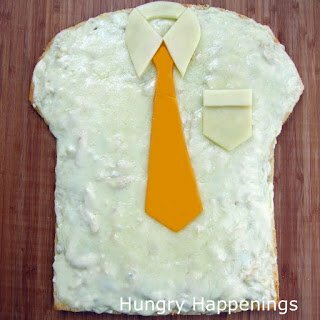 Dad can loosen his tie, put up his feet, and enjoy this fun shirt and tie pizza. 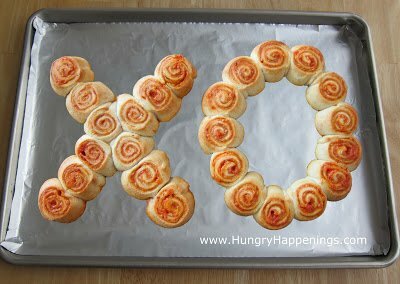 Give Dad some edible hugs and kisses with these savory pizza pinwheels. 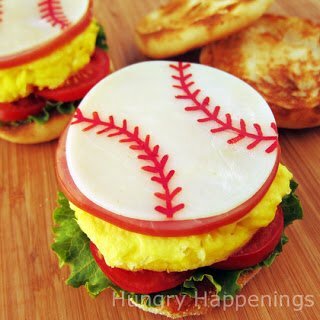 Make Dad’s breakfast a home run with this fun baseball-themed breakfast sandwich. 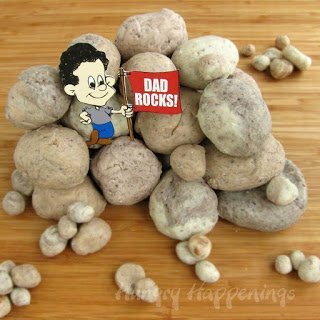 Let Dad know how much he rocks with this fun rock-shaped fudge. 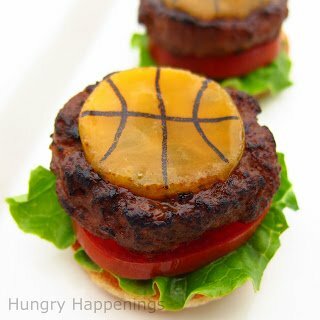 These cheeseburgers come out of the freezer instead of off the grill, as they’re actually ice cream sandwiches that are sure to bring a smile to Dad’s face! 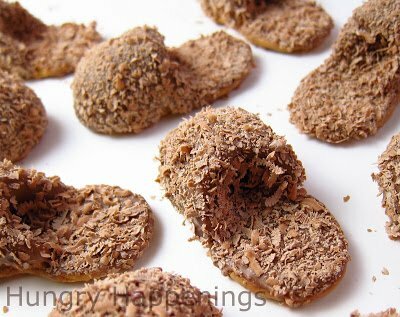 These chocolate and Nutter Butter cookies are a comfort food that Dad will enjoy as much as a comfy pair of slippers. 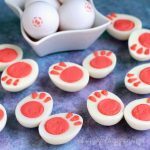 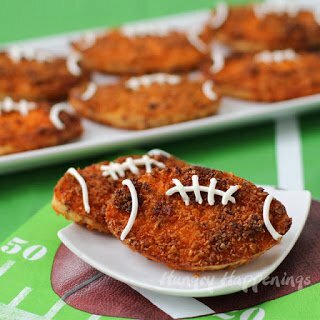 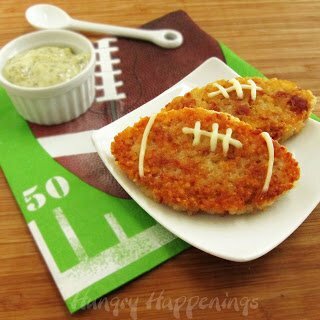 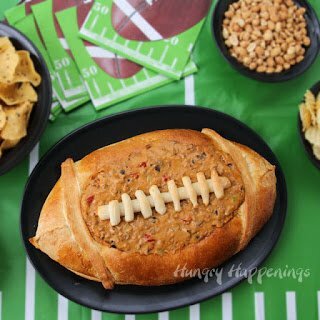 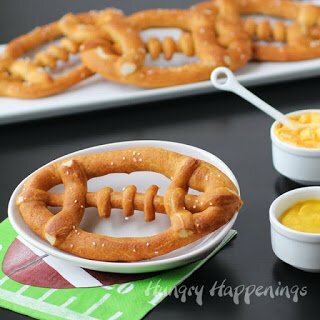 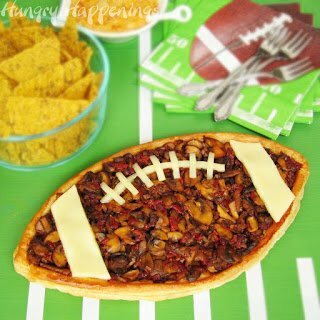 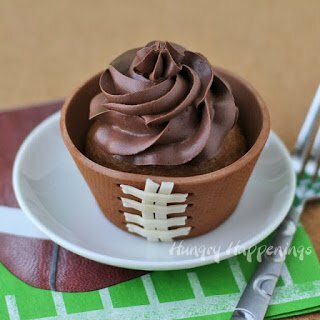 If the man in your life is a football fan, these assorted football-themed snacks and desserts are sure to be a touchdown on your Father’s day table. 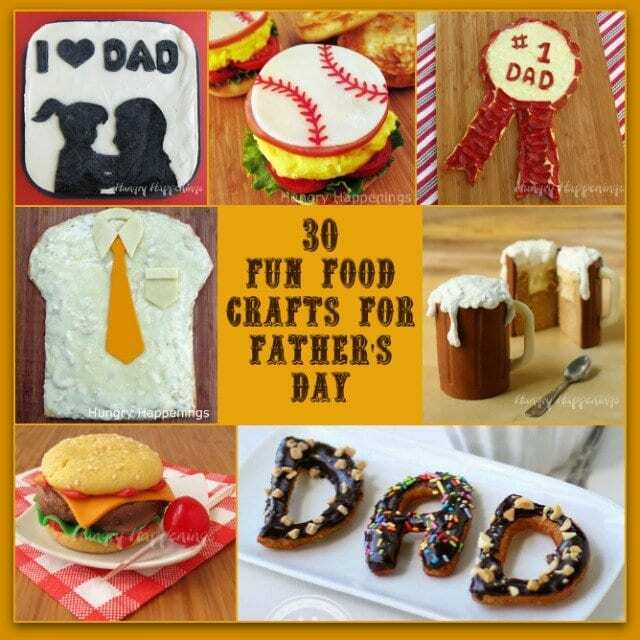 What a GREAT bunch of ideas for Father's day – awesome.